Ultra realistic life-size shooting targets for hunting readiness. Be ready for the BIG ONE! Thompson's line of hunting targets always gives you extremely realistic bold graphics for easy visibility and optimum sight picture alignment. All our animal targets present common small and big game in life like sizes and positions to give you that extra edge in preparing for the hunt. Heavier bright white paper and quality high density inks produce a superior image that looks sharp and vibrant even down range. 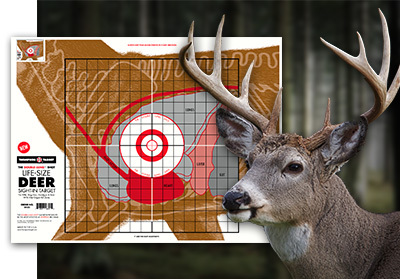 Get clearer shot placement feedback with anatomically correct vital organ and skeletal structure for deer, turkey, and squirrel. 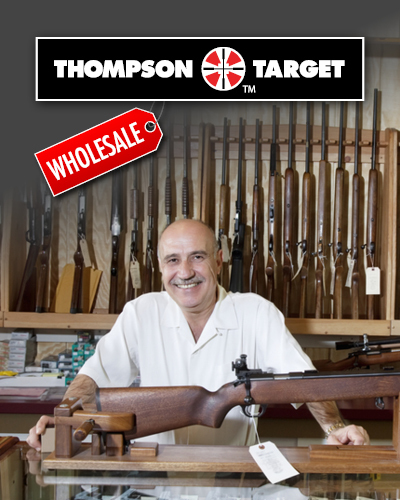 For the best pistol, rifle, and shotgun hunting targets available choose Thompson Target. Deer Sight In Targets 9"x12"
Life-Size Squirrel Targets - HALO Reactive Splatter 8.5"x11"
Turkey & Clay - Paper Shotgun Patterning Targets - 19"x25"
Deer Targets - HALO Reactive Splatter 8.5"x11"